Remember the days of 3GP videos? Gone are the days when we had to convert a video to low-quality file formats to view it on our mobile. 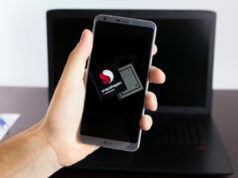 Nowadays, video players take advantage of new generation hardware in our smartphones and can play almost all video file formats. Although there is a default video player on all Android devices, third-party apps from the play store provide a more rich viewing experience. Note: This list isn’t in an order of preference; it’s a compilation of the best Android video player apps. You’re advised to choose one as per your need. MX Player has a neat and easy to use interface. It supports almost all the video and audio file formats. 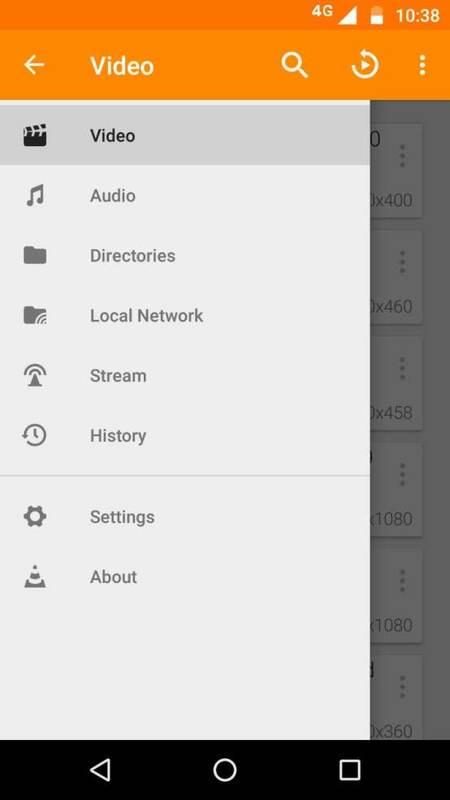 MX Player is known to be one of the first Android video players which supports multi-core decoding. 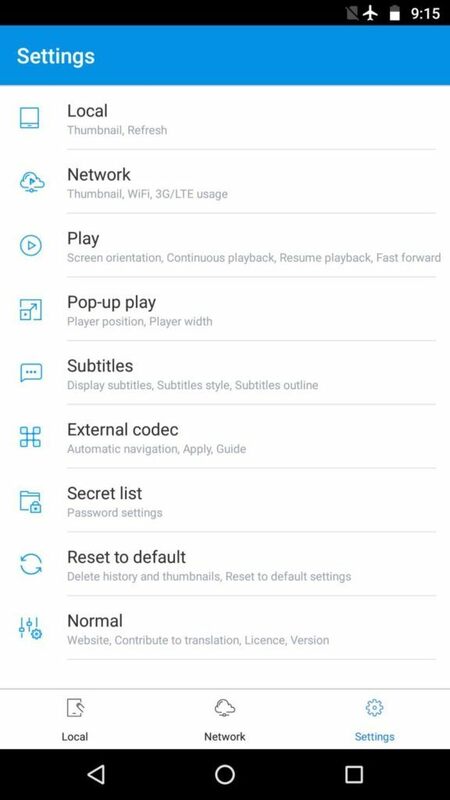 Moreover, MX Player packs a lot of features including subtitle support, scroll forward/backward, zoom in/out to change text size, gesture controls like easily zoom in and out by pinching and swiping across the screen. It also features on-screen kid lock. The app is available for free with ads. It also comes with additional plugins for extra functionalities. Download it from Play Store here. VLC is an open source, cross-platform video player tool that handles both video and audio files in several formats. It also supports network streaming (including adaptive streaming) and media library organization. The video player window is well designed and capable of playing videos with full screen, with gesture-based controls for increasing and decreasing the volume and brightness settings. It has support for multi-track audio, subtitles and also comes with a built-in five-band equalizer. VLC is the whole package and meant for everyone; it is entirely free, has no ads and no in-app purchases. FIPE Player can play High definition videos including 1080p and 4K video formats without a glitch. 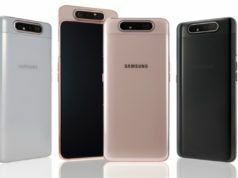 It features an amazing pop-up playback feature using which you can watch video on a floating screen while you can simultaneously use other apps. You can even resize the video playing screen and access video playback controls while on the floating window. It supports all the popular video/audio formats and codecs with support for External Codec Pack which can be applied using Settings. FIPE player also has video locker and video hiding capabilities. With many other features like subtitle downloader, Chromecast support, Internal Hardware Acceleration, Multi-track Audio etc, FIPE player is free and comes with ads. BS Player is another feature-rich video player application for Android. It features hardware accelerated video playback that increases speed and reduces battery consumption. 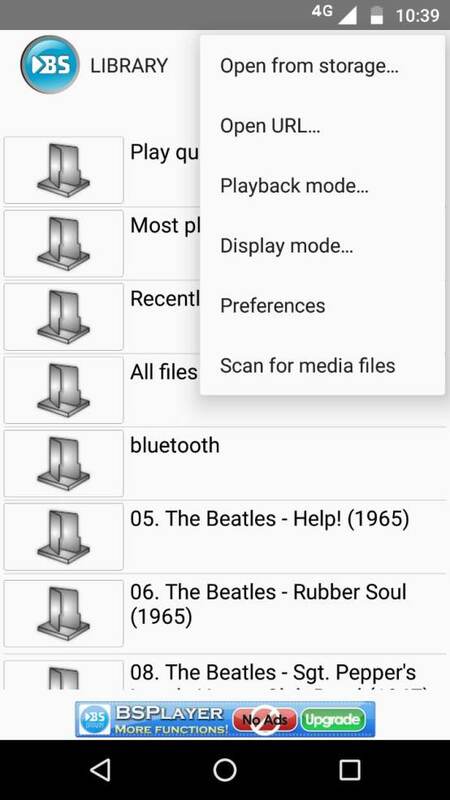 It supports almost all popular media file formats(video and audio player), multiple audio streams, subtitles, playlist support and various playback modes. Additionally, BS Player enables users to customize video playbacks with different skins. 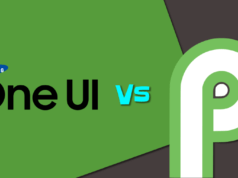 The interface is simple and easily customizable with different themes. The app has a neat “pop out” feature to facilitate multitasking. The lite version of this app is free but contains ad. This media player organizes all of your media in a beautiful poster view format. It has an in-built subtitle downloader with the ability to sync subtitles. There is support for audio streaming and video streaming directly from your PC, NAS drive or websites. The viewing experience is enhanced by hardware acceleration. 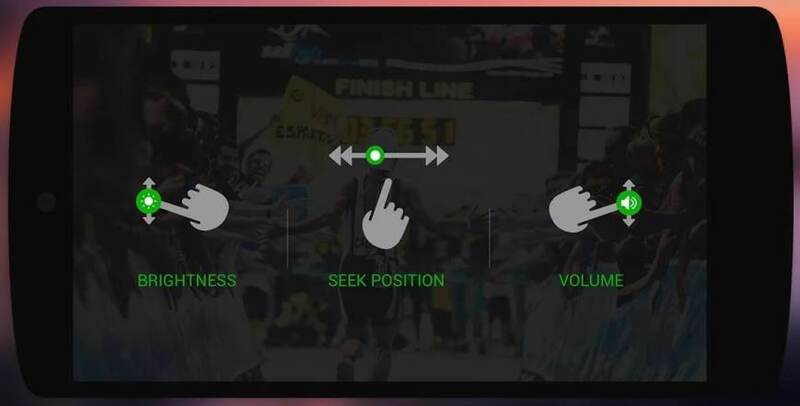 Player Xtreme has custom gesture control and you can change playback speed, resize subtitles text, change the aspect ratio, repeat and shuffle audio and video tracks. Also, it supports playback in background mode. 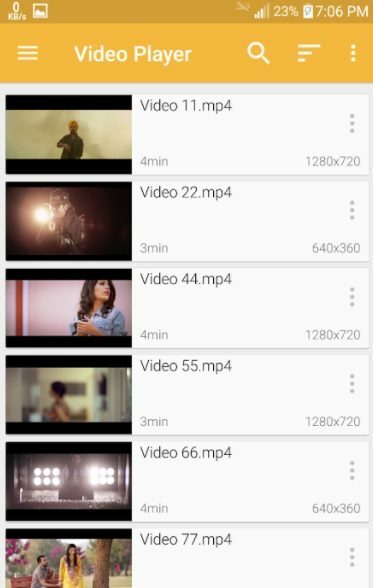 XPlayer video player is one of the most highly rated Android video player in Play Store. 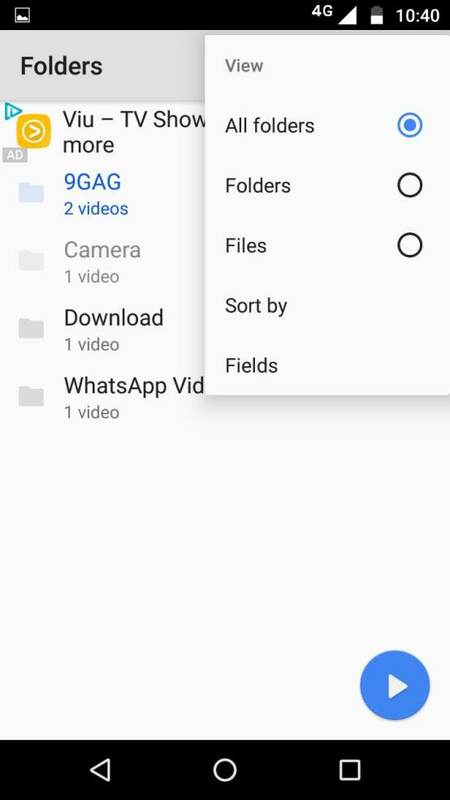 It can keep your videos safe in a private folder. There is a subtitle download and the subtitles can be adjusted. It can play all video formats with ease and users have also reported that it plays HEVC X265 without any lag. Volume, brightness and playing progress are easy to control. Videos can be viewed as a list or in a grid and sorted by name, date, and size. The app is free with in-app purchases. AC3 Player is an excellent Android video player that has support for the AC3 audio format. It can automatically search for files with this format without the requirement of extra plugins. It can also play all the popular video and audio formats. It supports multiple subtitle formats with automatic synchronization. The app is simple to operate and provide easy controls over volume, brightness, etc. It can stream online videos, and you can also choose to play videos in the background. It also has a built-in equalizer. AC3 Player is available for free with no in-app purchases. Download it from Play Store here. 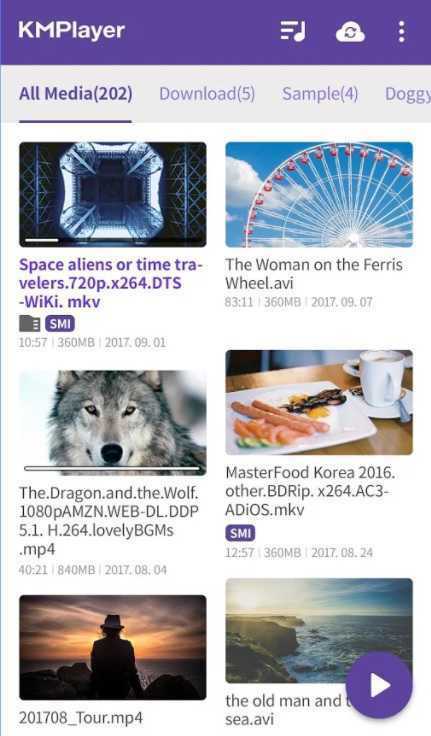 KMPlayer is another impressive Android video player that supports a wide range of file formats and codecs. 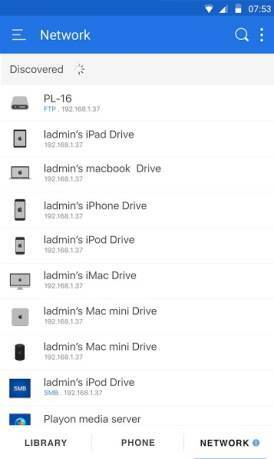 It has a library viewer that autodetects file and also has cloud storage support. You can view content stored on your Google drive. Moreover, it includes subtitle support, playback speed controls, one finger gesture volume control, brightness control, etc. It supports HD videos and available in 30 different languages. KMPlayer features a new function called KMP Connect. It is a service that allows you to view movies on your PC from your cell phone. Overall, the app is easy to use and free with no in-app purchases. However, it displays ads. Download KMPlayer from Play Store here. 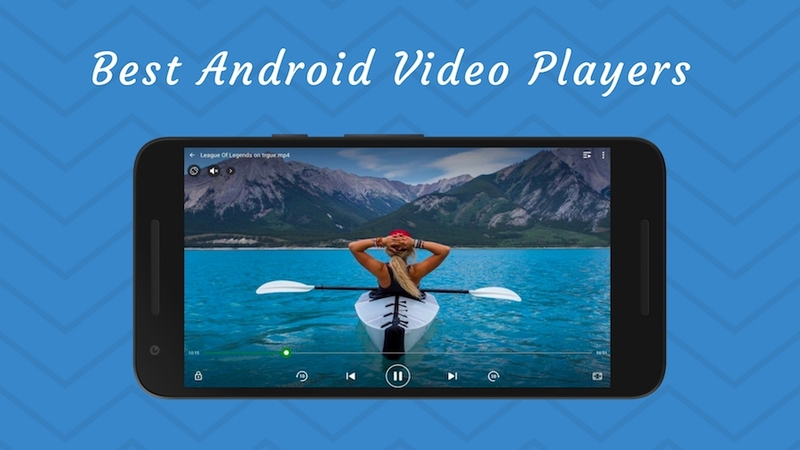 Did you find this list of best Android video player apps of 2018 to be helpful? Share your reviews in the comments below.